It might sound like something out of a James Bond film, but it's all part of the Australian Ballet's Pas de Deux in Paradise program which, in partnership with Hamilton Island, flies principal dancers to the Whitsunday paradise to perform at what has now become a sell-out event just nine years after the partnership first began. Having evolved into a truly glamourous night of culture, AB artistic director David McAllister says the experience is a unique diversion that attracts everyone from affluent ballet aficionados to virgin ballet viewers who are simply looking for a high-end cultural experience as part of their Hamilton Island holidays. It seems 'concert tourism' is booming and Australian arts and tourism are well aware of the potential this market offers. It's a rapidly growing sector that has seen millions channelled into regional economies where concert tourism is done well. Destination NSW credits events such as the Byron Bay Bluesfest and Tamworth Country Music Festival as playing a major role in attraction over 19 million visitors to regional NSW last year. It's a reoccurring theme across the country, from pirouetting ballet dancers on a tropical island to surf lifesavers marching by huge sand pyramids to the Verdi classic Aida on the Gold Coast. In the Northern Territory, melodic sopranos wax lyrical on camelback in the shadow of Uluru while the dramatic cliffs of NSW's Wolgan Valley provide the perfect acoustics for the Sydney Symphony's brass and percussionists' rendition of Tchaikovsky's 1812 Overture. Back on Hamilton Island, the Australian Ballet sees the event as a way to expose different audiences to the ballet company. Of course the true ballet tragics flock to the island for the event but there are also plenty of people who've never seen the ballet before and are simply looking for something unique and experiential to add to their holiday. Particularly for those who've visited Hamilton before, the ballet adds a new and interesting aspect to their favourite holiday destination. 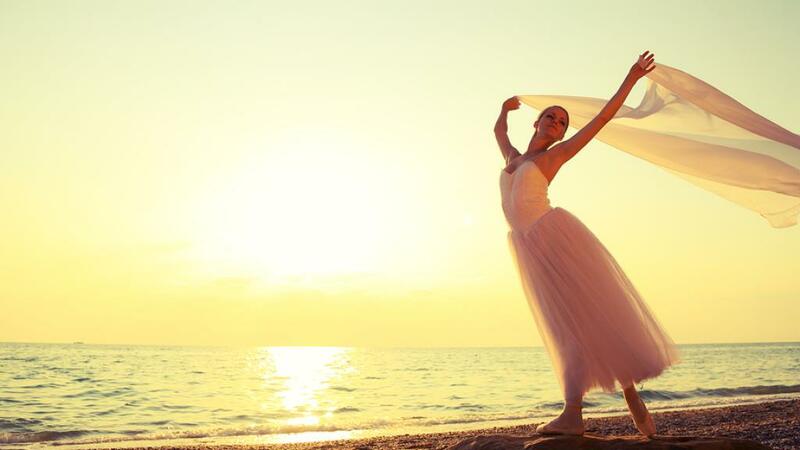 The Swan Lake pas de deux is known for its beauty and when performed by the country's best dancers backed by the shimmering waters of the Whitsundays it creates a truly atmospheric environment that's perfect for grand ballet - black tie, feet in the sand, goosebumps and all.